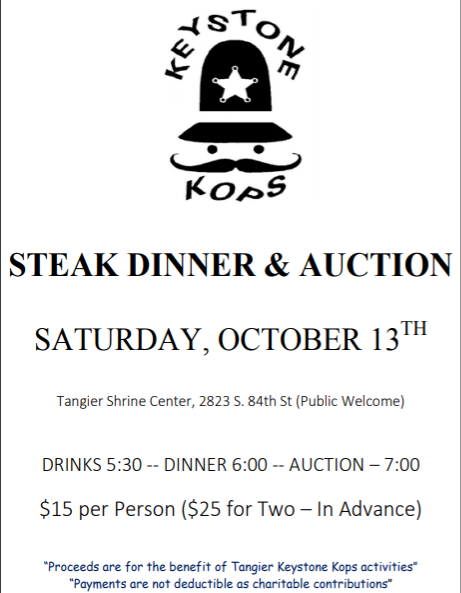 The Keystone Kops invite you to their 18th Annual Auction and Steak Dinner on Saturday, Oct. 13 at the Tangier Shrine Center, 2823 S. 84 Street (just south of 84th and Center). 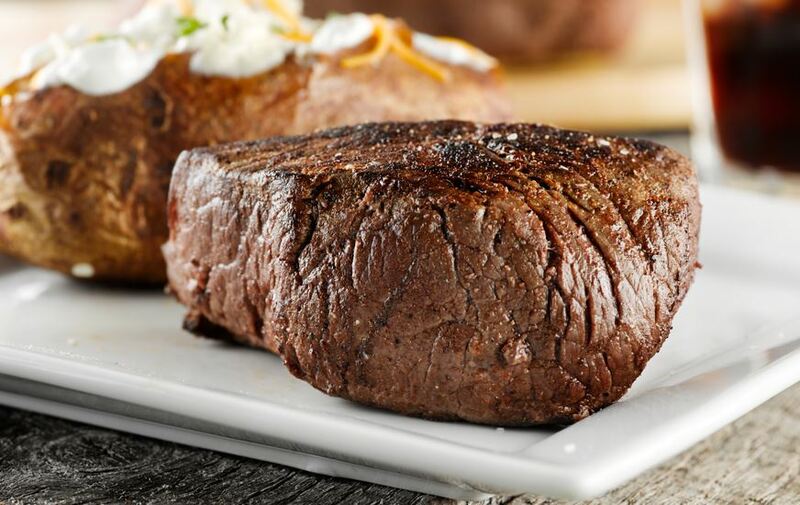 Dinner includes a steak, baked potato, vegetable, salad, roll and butter. Cash bar. After dinner will be an auction with a wide variety of items to bid on, along with some silent auction baskets and raffles for buckets of booze. Tickets are $15 per person or two-for-$25 if purchased in advance. Tickets can be purchased at the Tangier Shrine office during normal business hours, Monday-Friday or from any Keystone Kop. The event is open to Tangier Shrine members and their families as well as the public. Proceeds benefit Keystone Kops unit activities. Payments are not deductible as charitable contributions.